Angel food cake is the best friend of anyone with a sweet tooth who is trying to watch their weight. Light and fluffy, airy and delicious – this is truly the cake of your dreams, made even better in this case with the addition of fresh fruit and a smooth pudding layer. Eating lighter never looked so good! 1. Sift the flour and half of the sugar (5½ oz) together in a bowl. 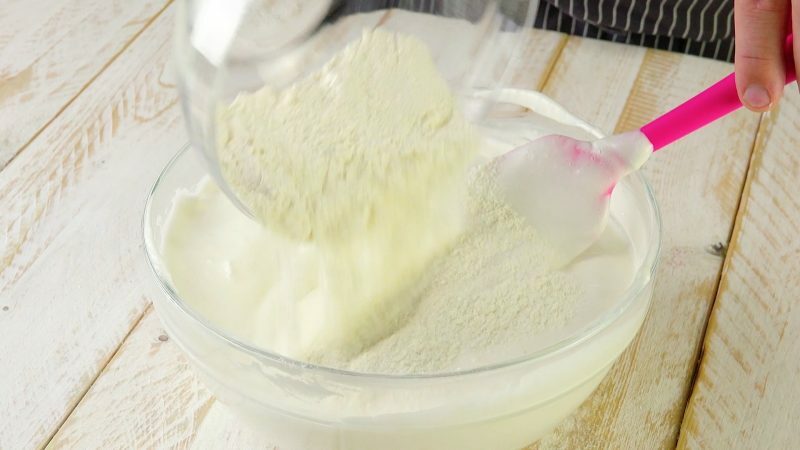 In another bowl, add the remaining sugar, vanilla extract, salt, and baking powder to the egg whites and beat the ingredients with a hand mixer. Gradually stir the flour and sugar mixture into the bowl. 2. 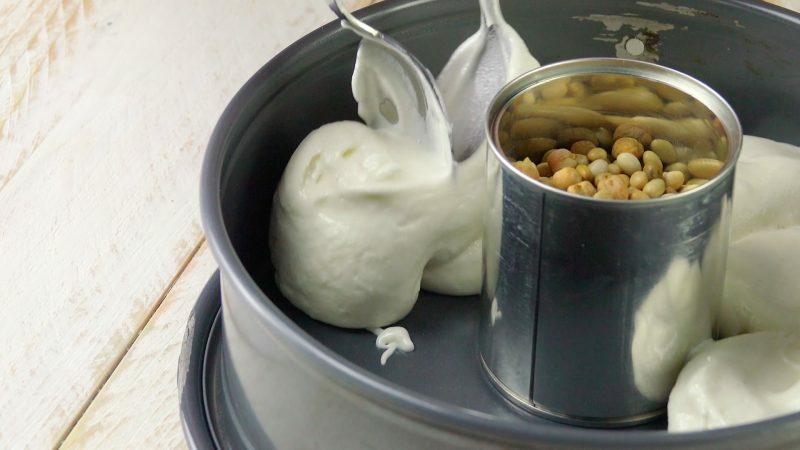 Place a clean, empty, label-free aluminum can in the center of a greased springform pan. Weigh down the can with some dry beans so that the can will act as a placeholder while the cake is cooking. Evenly distribute the batter around the can and bake the cake for 40 minutes in a preheated oven set to 350°F. 3. Let the cake cool and then carefully remove the can. 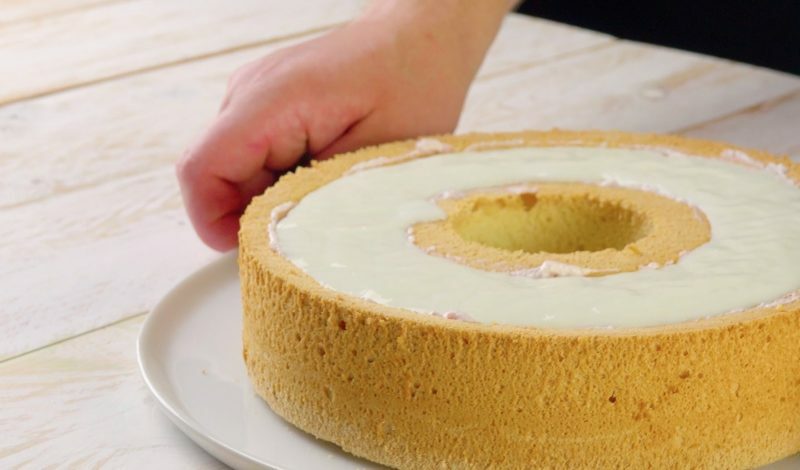 Remove the cake from the pan and cut out an entire section around the cake, about ⅔ of an inch from the outer edge and ⅔ of an inch from the inner edge. 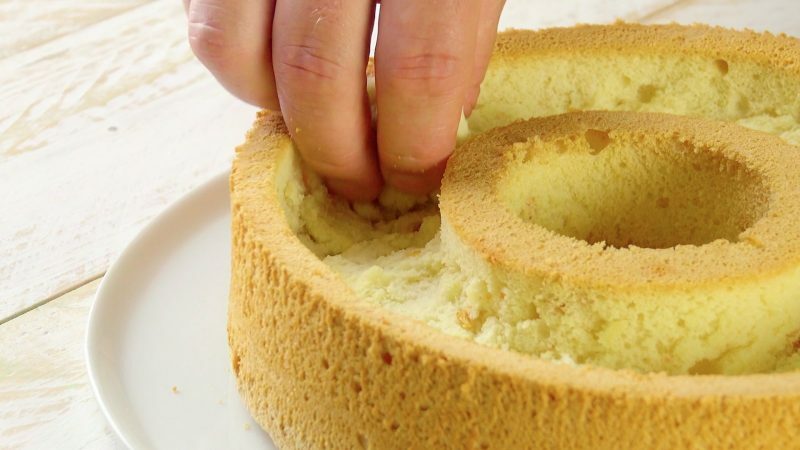 Use your fingers to evenly hollow out the section all the way around the cake. 4. 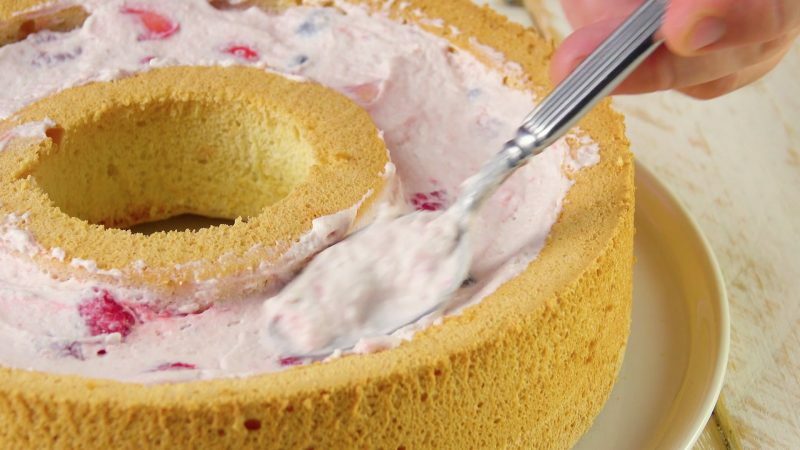 Mix the whipped cream, jam, and berries together and spread this cream mixture evenly in the cake hollow, making sure to smooth out the surface. 5. Chill some vanilla pudding, pour it over the berry cream mixture, and refrigerate the cake. 6. 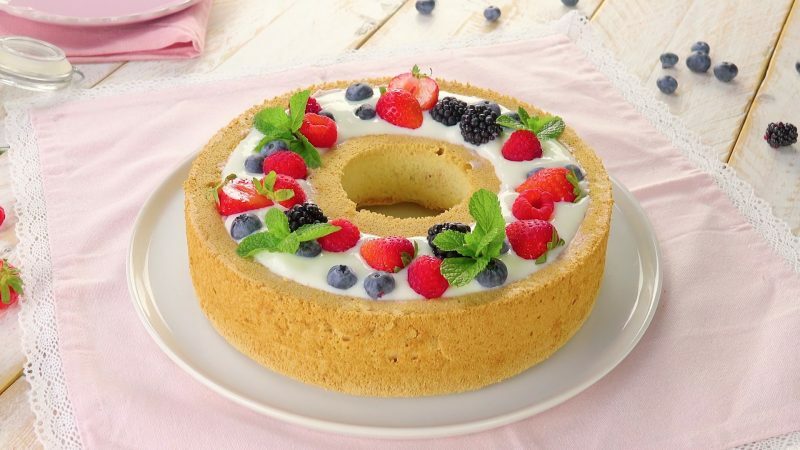 For a real showstopper, decorate the top of the cake with fresh berries and mint leaves. Go ahead and treat yourself to an indulgent slice of this lighter version of the fluffy classic — we won't tell.